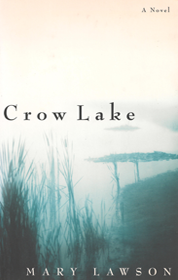 Set in the harsh and beautiful landscape of the Canadian Shield, Crow Lake tells the story of a family bound together by loss. 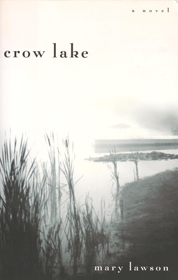 Orphaned young, the four Morrison children – Kate, Matt, Luke and Bo – struggle to stay together as a family and to fulfil the dreams passed down to them from their parents. Seven-year-old Kate worships her brilliant elder brother Matt, whose passionate interest in the natural world inspires her. But hero worship is a dangerous thing, particularly for the hero: Matt is all-too-human, and there are things about him that Kate does not know . Running parallel to the Morrison’s story, offstage as far as the rest of the community is concerned, a family on a neighbouring farm is having troubles of its own. The Pyes are a problem family and always have been, but this year, within the privacy of their grey-painted farmhouse, their problems are developing into a full-scale nightmare. Unknown to Kate or to anyone else, that nightmare is destined to become entangled with the Morrison dream. 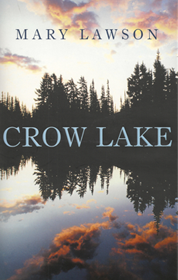 Twenty years on, Kate Morrison, now a professor of zoology at the University Toronto and confident that she has left the past behind, returns to Crow Lake, to a discovery that will turn everything she thought she knew upside down.